An ancient remedy to modern complaints :: Be Broncho Fit! Cryotherapy is the use of cold instruments such as ice or water as a way to treat injury or inflammation. According to the Dermatology Journal, cryotherapy dates back to the times of the ancient Egyptians and has evolved over the years to what we know it as today. Even certain cultures in Europe still participate in cold-plunging each year when the waters temperature drops below freezing. Cryotherapy consists of applying ice directly to the affected area or immersing the affected area or even the whole body into cold water. Now there are also whole body cryotherapy machines that are used to immerse your body in cold temperatures as seen on the right. 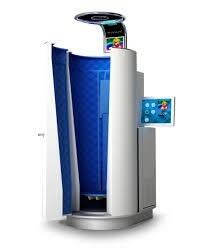 Why Should We Use Cryotherapy? Cryotherapy has been around for many years and has been proven to be effective for treating injuries and reducing inflammation. Some studies suggest cryotherapy may reduce inflammation and pain by decreasing blood flow to the area. Frontiers in Physiology reported pain, soreness, stress, and post exercise recovery all improved after the use of cryotherapy. While there are some benefits to whole body cryotherapy that does not necessarily mean that it is for everybody and people should carefully consider the benefits and the risks. Some risks that have been reported from whole body cryotherapy consists of local irritation, reduced circulation, triggered allergy symptoms and the worsening of conditions such as high blood pressure and heart/lung disease (Schmerling, 2018). Lombardi, G., Zeimann, E., & Banfi, G. (2017). Whole-Body cryotherapy in athletes: From therapy to stimulation. An updated review of the literature. Frontiers in Physiology.